EZ Mounted Rubber Stamp Vintage Style Paris Tag. Size: appr. 3.1 * 4.5 cm (1.2 * 1.7 inch). EZ Mounted Rubber Stamp Vintage Style Paris Address with Nib Altered Art Craft Scrapbooking Cardmaking Collage Supply. 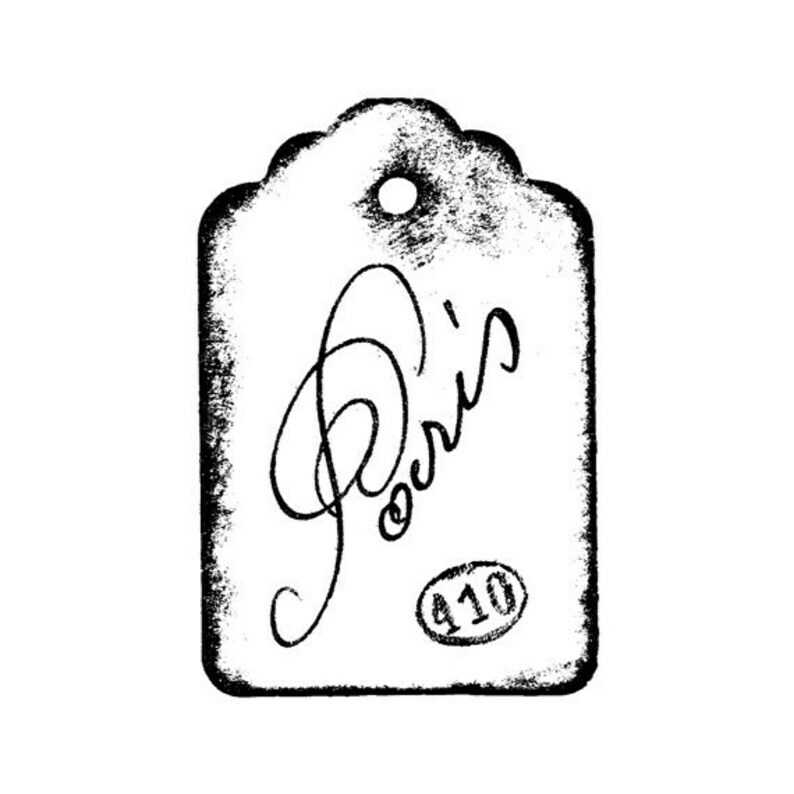 adorable little rubber stamp "PARIS" with just the right amount of "smudging" to help the finished product look vintage. Very quick shipping from Sweden ! I absolutely love this great stamp and will make some tags for my other Paris stamped tags. Also, love the fact that it traveled all the way from Sweden which makes it extra special. Also, have a great nephew in Stockholm.